AnonD-597572, 14 Oct 2016How to use JIO sim in this phone Put jio sim......turn off other connection..turn on jio connection.. I'ts not really your phone. 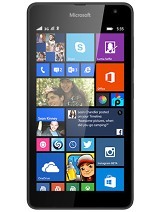 I agree, on an interface level, Windows 10 phone is wonderful. I love live tiles. I love how apps are opened and closed. All icons on iPhone and Android look the same to me now, I hate iPhone's interface process and I never know if an app is closed in Android. Unfortunately, it seems some Microsoft developers are out of their minds. Crash, crash, crash. Microsoft Windows has always been associated with unexpected crashing, and I guess that legacy is just too hard for them to let go. Plus, think about this, who but the deranged, would code a Photos app where you were not allowed or able to change the file name of a photo - in the Photo app!? Yes, I'm sure there is a reason, but no, Microsoft, it is NOT a good one, no matter what it is. I can't install any free call app. Bec its too heavy or I can't find it in the store except viber and Skype. AnonD-94324, 25 Oct 2016i was been using the updated win 10 version on my lumia 640 xl dual for 3 months and finally f... moreI faced behavior like that when being a member of MS Insider programm. After resetting the device to Windows Phone 8 and an update to Windows 10 Mobile official release, everything works like a charm. 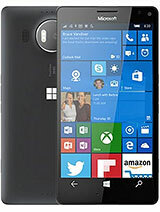 i was been using the updated win 10 version on my lumia 640 xl dual for 3 months and finally faced lots of issues on most of all apps , overall phone is slow with malfunction . now after getting back to win 8.1 , i feel its fast good and light less featured with no bugs . I've had it with the 640 XL and Windows 10. 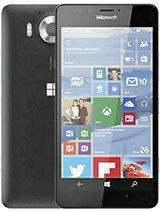 I love Windows but his phone would have to improve dramatically to move up to unusable. Apps like phone, camera and photos crash at least once before they can be used. Camera will crash repeatedly while attempting to auto focus on a difficult subject. Messaging app loses or doesn't receive about 10% of the messages sent to me. Attempting to share photos via any mechanism fails about 33% of the time. Many apps crash unless I reboot the phone every couple of days. I try to use the groups feature in the people app (which I love) except that my groups just randomly disappear. You cannot turn live tiles off. Well you can click the slider switch in the app settings but they don't actually turn off and my start screen looks like its having some kind of seizure. 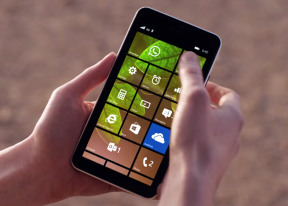 There are a lot of really cool features in Windows 10 mobile that would be absolutely stunning if they worked. Maybe I got a bad phone but it is so bad that I was literally looking on google for instructions to remove windows and install android. Today was the last straw. While attempting to download the Garmin app for my step tracker the phone locked up and started vibrating constantly. I let it go for five minutes before pulling off the back cover and removing the battery. I did try every button combination that I had ever read about to resolve the endless vibrating but nothing worked. I'm going to reset it, sell it and buy whatever android phone I can afford. 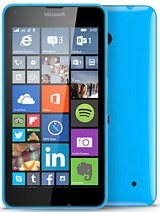 Anybody want to buy a lightly used Lumia 640 XL? 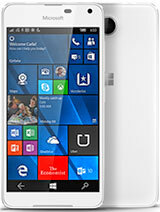 I have used this phone last one month the experience of one month is superb its a great phone after upgrade windows 10 one thing I note that their is no heating problem works great in windows 10 yesterday I have got new update of windows 10 rings ie 14393.321.i am a big fan of windows phone i also used lumia 535,540&650.lumia 535&540 is good phone but in 650 some issue like battery,camera,display blink etc but in lumia 640xl is very very good phone i advise for windows lover go for it in lte my phone is not lte. 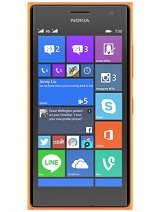 After Updating Windows 10 in Microsoft Lumia 640 XL already installed apps means Windows 8.1 not working properly... please tell me what should i do?? 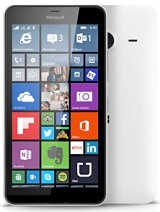 Total of 2317 user reviews and opinions for Microsoft Lumia 640 XL.